Here on Speedhunters we celebrate icons of the present and future, but we also love paying tribute to the giants who have come before. 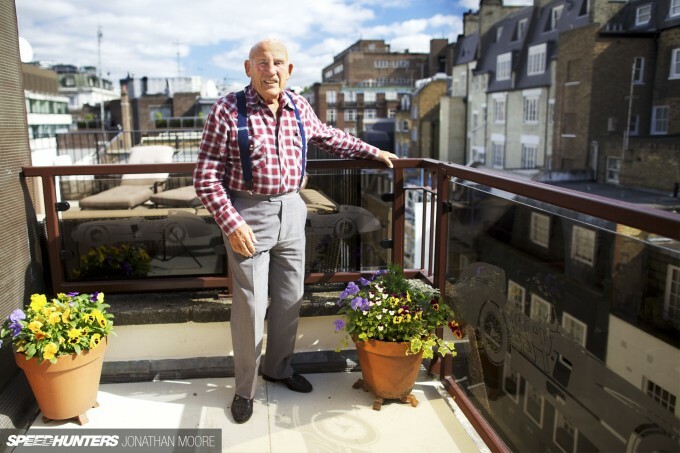 In terms of motorsport legends, there are few of the stature of Sir Stirling Moss – and he wants to answer your questions. It’s your opportunity to quiz someone who has lived across the entire gamut of Grand Prix racing, rarely out of the cockpit despite officially retiring right back in 1962. What better way to bring our Driver theme to a close? Moss straddles the generations, a sublime racing driver who is as revered now as he was in period – and a proper gentleman. He was teammate to Juan-Manuel Fangio and drove with or against – and often beat – the most incredible drivers during his career; he’s still a stalwart of the motorsport scene, a constant at both historic and contemporary events. You’ll see him talking to Lewis Hamilton at a Grand Prix one minute, then demonstrating one of his many old racing cars the next. He’s the hardest working man in racing, and he’s seen it all! Moss is as English and dapper as they come, but for him afternoon crumpet had a very different meaning… Sir Stirling lived through what are surely the most dangerous decades of racing, where speeds grew exponentially with virtually complete disregard for safety. 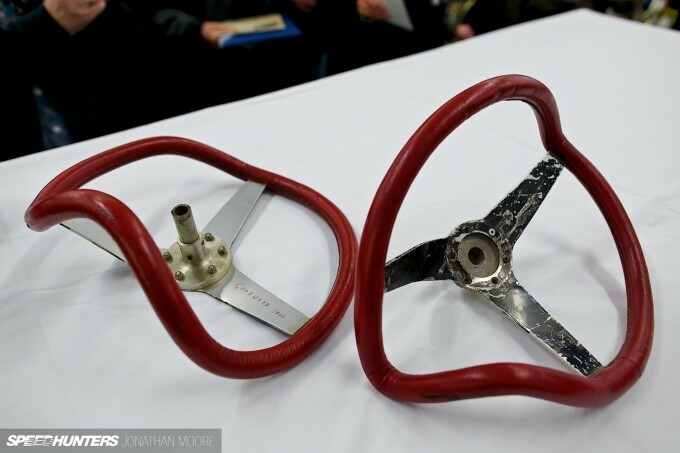 See these steering wheels? See the massive dents in them? Made by Stirling’s head. You had to be tough; you had to be a survivor. You accepted risk for the possible reward: victory. 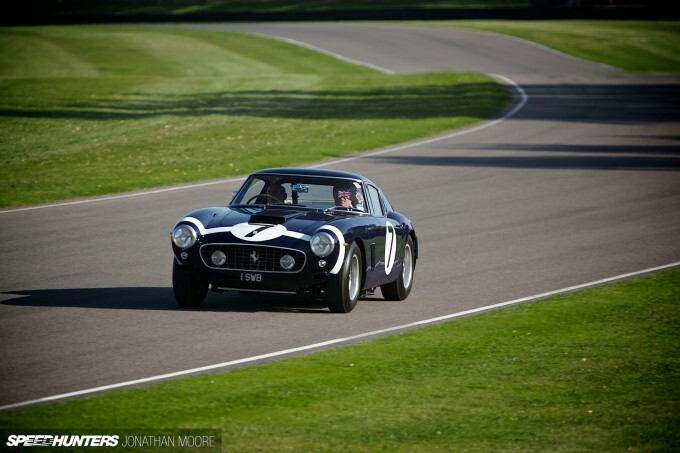 Sir Stirling has driven at every track you’ve heard of and plenty more you haven’t. Want to ask him about the Nassau Speed Trials? His part in the team that drove for seven days around at Montlhéry to set new speed records? 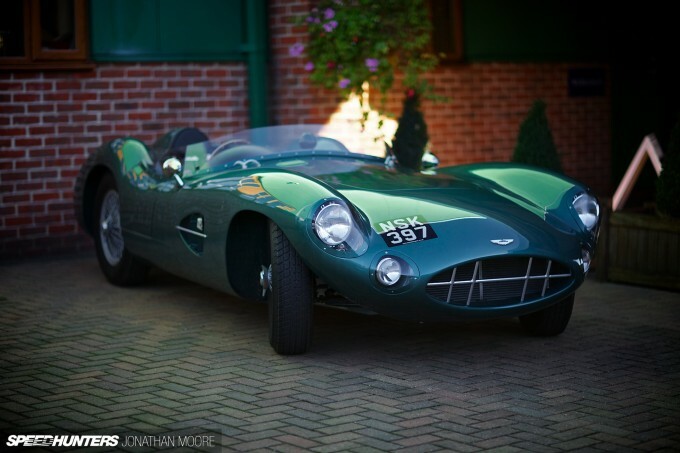 Moss has driven some of the most recognisable cars ever – and driven them hard. Want to know his favourite? His worst? Want to know more about something you’ve read? Or ask something completely different? It’s completely up to you. This is your chance. He’s been interviewed so many times over the years and often asked the same old questions – but now you’re in the driving seat. And Sir Stirling isn’t someone who holds back. So, get your thinking caps on: this is a once in a lifetime opportunity to question the great man. We’ll be travelling up to Sir Stirling’s London home to pose your questions to him: let’s make them the best yet! If you were to pick one car from 2000 up and bring it back with you to your era of F1 when you get in a time machine, what will it be? And I am also looking for help to trace the lineage of teams that have come and gone in F1 through the years--a family tree of teams, and I think you can help me with it. do you think it would ever be as competitive for different manufactures to compete again in endurance racing like back in the 50s and 60s? It seems like so many car companies use so many of the same parts (ie same engine, trans, electronics, etc), and are owned by the same corporation. What do you think is the new cars coming out? What do you think of the new F-Type Jag? What is your favorite car of all time and why? Thank you for taking the time to speak with us! Is there something car/race related that you have yet to do and want to participate in? It is said that racing in your era was very dangerous, do you think this was because of the cars, or the track itself? 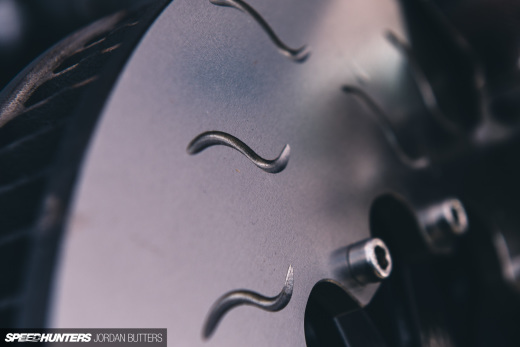 The fact that modern Formula One is a shadow of its former self is undeniable. What changes would you institute to make it more reminiscent of its glory days? Sir, what is your closest association to word "determination"? Not everybody can have a warehouse full of exotic and truly unique cars. For the average man, what would you say is the most important thing to keep in mind when selecting the few (or many) cars that will keep residence in your garage over the years? 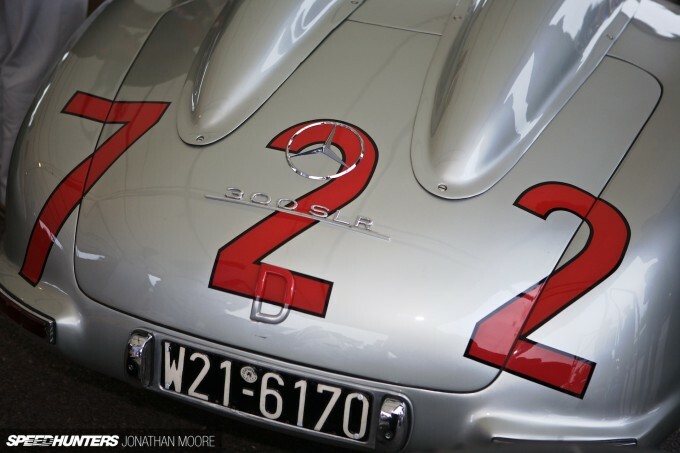 What do you, Stirling Moss, consider the greatest achievement in your career? If you could go back and relive one particular race, or season, what would it be, and why? If you were to give Formula One drivers of today some advice, what would it be? What characteristic is most important in a driver, is it determination? Is it a passion for the sport, or something else? Other than things relating to automobiles, what is your favorite pastime? What are some of the most important choices or decisions you have made or learned from? What would you say are the major principles, or values that you live your everyday life by? What is the greatest life lesson you have learned from your career? As you look back over your life, would you do anything different? And finally, what are you most proud of? Sorry for the multitude of questions, I hope these are good ones, I just rattled these off during my break at work. Really a great opportunity, thank you SH!! I have a quick and simple question I would like to ask him, but I think that it would be not so silly if it would be a legend like him to answer. Sir, who is the guy you consider the greatest of all drivers? I'm not talking only about F1, I'm not talking about the character and the humanity, I'm just talking about driving skills. Thank you again SH and thanks also to Sir Stirling Moss if he would be so nice to answer this question. How do you top that! Sir! may I just say that your recovery is still an inspiration for many who fight seemingly impossible odds. Thank you. Are you still modifying your home/working on project 46? What's your biggest "I could of been driving that" moment/car and how do you keep going after that realisation you may have made a mistake in regards to which dotted line you chose? It's one in a life time chance to hear words of a man from such crazy period of racing. Did you feel any fear while racing through those mad tracks with your life on a line? Or was it pure concentration on the victory and you've never felt fear? Was it helpful feeling, or the one to accept and live with? What do you feel, when sitting in a race car getting ready to drive fast? Dude! What a brilliant idea! Have you ever been afraid of the future? What were your thoughts as racing evolved during your career? Did you ever fear a point where you wouldn't be competitive with new technologies coming into play? Have any good stories about behind the scenes happenings with other drivers of the time? What is the most memorable moment of your life? How dangerous was the racing world in your time? Do you think that nowadays young drivers are being too heavely pushed forward by managers, teams etc. from very early on, instead of people actually growing up and finding passion for racing and speed? It feels to me as great character are dying in the sports. Decade or a few back, every driver seemed to have their own distinctive style in and out of track, now it feels more and more monotonous. Of course we still have many great characters, but in general I feel like they are a dying breed. Agree/Disagree? what inspired you to race? desire to win inspires me to race, sometimes it's not enough. was it the same for you back in racing days? what kept you going when feeling doubtful? I usually do not comment here, but this changes it! One of my all-time favourite drivers and one of the only of his astonishing quality and historical importance, in a very good way. Do you think top-level motorsport such as F1 but also 24h of Le Mans is nowadays too much dominated by the technological reglement of the respective series? Well, i can just say again, a great opportunity and really very much how I and everyone that loves cars has to imagine a site for all the gearheads. I mean you can suggest questions for a living legend of race driving whilst looking at an ad for kyusha-kits by aoshima. In an era of the most dangerous races and race cars, what techniques helped you stay focused and block out the fear? I am restoring a vintage Race Boat : an english Albatross, with an aluminum hull. The story goes that you actually owned and raced that very same boat ; unfortunately I've never been able to confirm this. So : have you actually owned an Albatross? If so, would you happen to have any pictures of it? The Albatross community would be tremendously happy if you could reply on this topic! 1. Your relationship racing with and then against Fangio: there's a great photo of you pouring shampagne on Fangio's head after beating him at the Pescara Grand Prix ('57). Also, Horacio Pagani is very outspoken about Fangio being very inspiration to the design of the Zonda. So the question is, do you have any particularly fond memories of Fangio that stand out from the rest? Or perhaps something he said or did that impacted you in particular? 2. There are also really great photos of drivers (you and Fangio again) sliding these grand prix cars around corners in a 1950s B&W version of circuit drifting--even four wheel drifts! I'm wondering was this simply a matter of driving style? Were the cars overpowered for their grip level? Or perhaps braking wasn't as effective as today and drifting a bit into the corners was a more effective way to slow down? How did the W196 Mercedes and the 250F Maserati handle compared to todays track cars (a caterham for example)? What are your thoughts on modified cars today in comparison to that of yesteryear. When you were younger was there ever a style that you felt you would have developed for your own personal car? 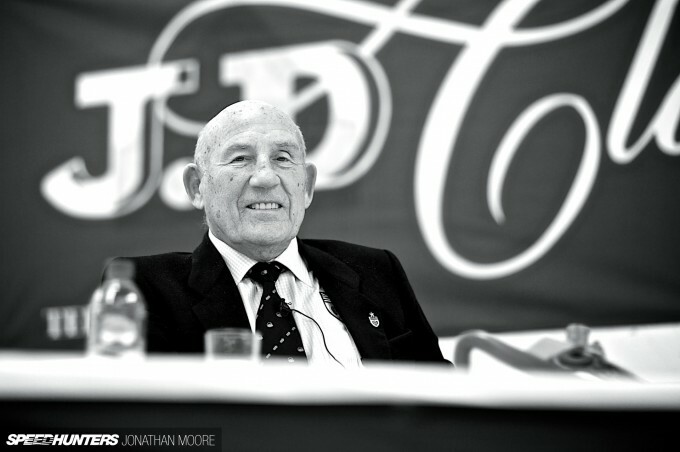 Sir Stirling Moss, thank you for taking the time to do this Q&A session. Formula 1 (racing in general) is the only sport in the world where talent takes a back seat to your wallet. What is your opinion on the paying driver? In the golden age when you competed actively we were not witness to the financial strain, stresses, and dependencies that modern day Grand Prix racing inherits. This is partially due to the advancements and influence (vision?) that Bernie imposed in his early years after taking ownership of Formula 1. Today we are living with a form of the sport that many couldn't have ever envisioned decades ago. My personal opinion is that of disgust and disappointment. But we live by the sword and must die by the sword as well. The endorsement deal, as we know it, has gotten us this far (and backwards if you will). What is the future of Grand Prix racing and where do you think the limit is when teams will begin to recognize a mentality that emphasizes talent instead of financial backing? Firstly congratulations on your wonderful life, if your true experiances match half of what I have read then it must have been amazing. My question, is given what Bruce Maclaren achieved in his short life and what the team has gone on to achieve - what do think he would have achieved if fate hadn't intervened? DanielValdiviezo Start by not being a woman. According to him, a female will never be successful in Formula 1. Leading to my question: You could not have possibly been serious, right? What do you think of the "hybrid monsters" (the Porsche 918 and the mclaren p1? And would you choose a Caterham 7 over anything? Thank you for making yourself available. I just have two questions. How have your tastes and interests changed and evolved over the years when it comes to the cars that you collect and drive? Also, what's your favorite "slow car" you like to go fast in? In your opinion...Who's the most overrated racecar driver? Sir Stirling, first of all thanks a lot for this opportunity, I am from Argentina, where you are deeply admired and loved. My question is, how does it feel, to have been a part of the most iconic, romantic, and dangerous era in motorsports history? What is your favorite race car or road car to drive? It's an honor the ask you some questions, sir. What is your all-time favourite car? Is there any modern car you want to take for a ride? What is the meaning of "7:22" to you? You lived a long and beautiful life, you are a great man, a great racer, a champion. 1.What you would prefer right now? To make a donut at a stop light somewhere in New York in a BMW 7 Series in front of a shocked crowd or take a relaxed drive on a country road in a Renault Espace in Southern France? 2.When you think at your past racing rivals, in your mind, it was somebody that you thought that was faster, better, sharper, luckier than you? I'm looking for a rival that nobody today remembers but you had kept him alive inside you. 3.If tomorrow you will wake up and find that you are 25 years again....what you will make of your life? You would go race again? Formula 1? 24 Heurs Le Mans? Drifting? Rally? Or you'll leave everybody wonder and drove of and live a quite life doing....what? 4.After all this years, what do you think that cars, in generally, lost? The spirit? The human touch? Or are they way better and we should never feel sorrow for the past? If I may ask. To you, what is the ideal car? What is speed in you eyes? what is your most prized car in your collection? 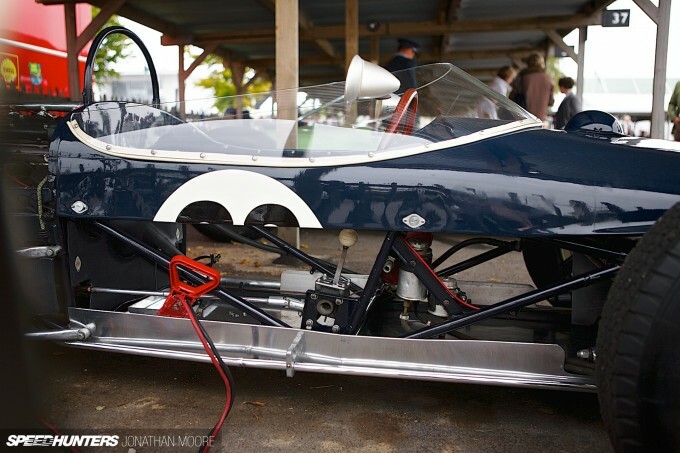 Sir Stirling Moss, who would you consider to be your biggest rival in your many years of racing? Do you think current top level racing is too static and too reliant upon areo as apposed to the days when the cars were dynamic and were sliding through the corners? I tend to get quite nervous before a kart race, and I was wondering if you had any advice on how to control those nerves before a race? 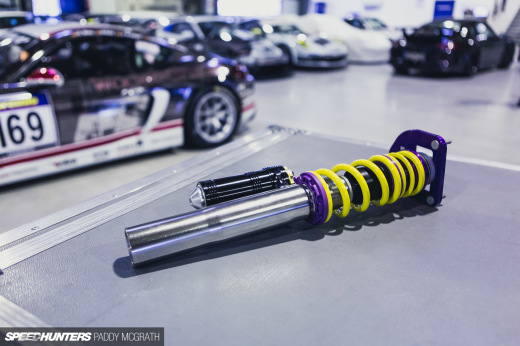 What impresses you the most about current automotive/racing technology? What do you see as the next big thing? Do you feel that balance of performance leads to better close racing, or should the manufacturer / race teams have free reign again? Also, a second question if I may; do you get a say in when and where someone wants to use your name (for example, Moss Corner at Mosport)? Should we expect Silverstone to be renamed Stirling Silverstone any time soon? sir moss. Why do you choose to be a driver? did you enjoy it? any regrets? If there was one thing you could bring back from your era of racing, what would it be and why? Sir Moss, could you tell me what is your favourite car to drive? Big powerful muscle or a nimble and agile featherweight? Are there brand new modern cars that you want to drive or you preffer the classics? Isaac, my 10 year old son would like to know where you found your inspiration and motorvation in your early and formative days of driving? Many thanks for giving everyone here your time. Do you drive some classic car as daily car nowadays? And wht are your car (or cars) you drive. What do you think F1 should do to get more people watching it again. 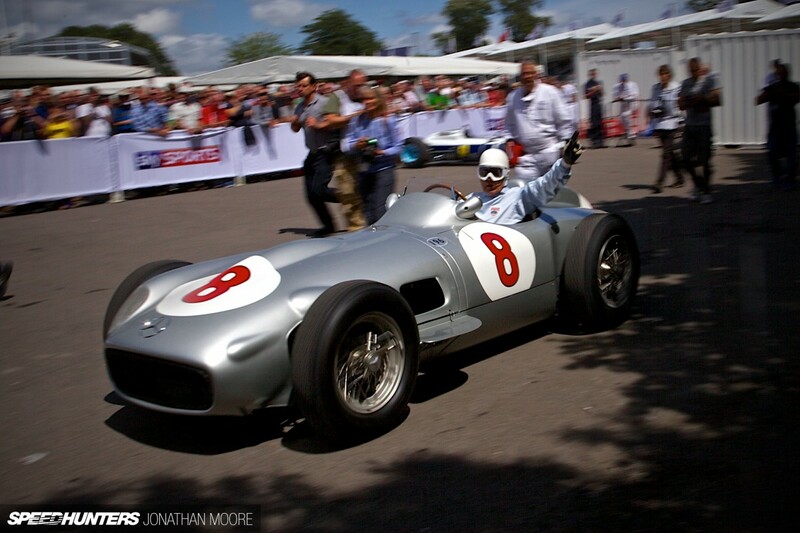 Sir Stirling Moss, if you could go back in time and relive any race in your career which race would you chose? Huge fan and thank you very much for answering our questions. What was the scariest moment you've ever had in racing? In your opinion, who is the greatest driver of all time? Did you have a pre-race ritual that helped you prepare for your races? Do you have any ideas that you believe modern f1 should use? I'd like to know what Sir Stirling would drive if he could drive any car ever. Also on a side note, I'd like to know which team would he race for if he was a young man racing today. Would he even be racing in F1 in it's current state? Which motorsport appeals to him the most these days, like, what would he properly sit down and watch? How does he feel modern cars compare to classic / previous gen cars? The 60's F1 cars compared to a hot hatch or similar? 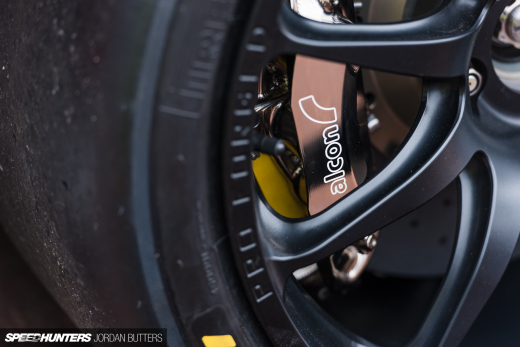 What are the key ingredients that when combined define your most fulfilling and memorable experiences in a racing car? As a child in the late 50's my favourite Dinky toy was a Vanwall F1 racing car of the type that you drove to victory in Pescara in 1958. It was the fastest Dinky toy in the playground and was the envy of my friends. I always wanted to own and drive one, but the common problem of finance did not allow it!!! Some 50 years later, I still can't afford a Vanwall (I recently saw an original for sale in Lincolnshire, the price substantially more than £2 million). However I have managed to achieve my dream, at least in part as I have had similar styled car (a Ronart W152) built for me by Vanwall Cars Ltd who were based in Peterborough, but sadly when out of business earlier this year. Coincidently, I also have a house in Italy, 1 hours drive from Pescara. I am currently arranging a sort of memorial trip with other Vanwall / Ronart owners to Pescara next May, where we plan to pay homage to you and the other greats of that era by driving the same 25 km road circuit as you during your race / win there. Thus, we would most grateful if you could give us some insight as to your thoughts on that race and the circuit, which I understand was one of the most exhilarating and dangerous of all F1 circuits? As you well know life is full of challenges and I know there is little chance of it happening, but the highlight of the trip would be your attendance as our honoured guess and speaker at dinner in Pescara, prior to which we could drive you around the circuit as it is today, or even better you fell like driving a single seater Jaguar powered replica of your car (another one of my dreams, but what would life be like without them!!!!!). Any feedback or insight in respect of your experience of that 50's race would be very much appreciated. PS - I was raised on John Cobb's estate in Esher, Surrey(the former Land speed record holder in the late 1940's and the first to break the 400 mph mark) which I guess was the route cause of my passion for cars!! !